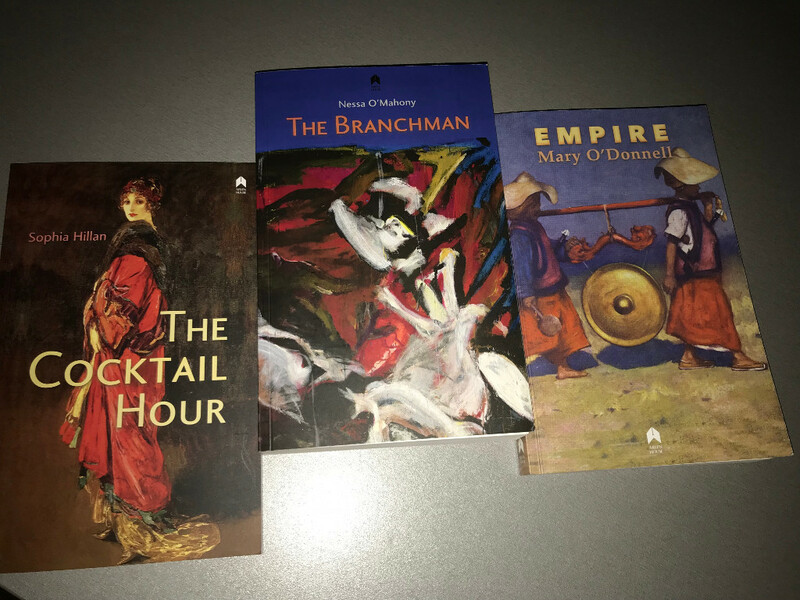 Sophia Hillan’s first collection of short stories is called ‘The Cocktail Hour’, Mary O’Donnell’s 17th publication is also a collection of short stories entitled ‘Empire’, and Nessa O’Mahony has written her first venture into Irish noir, called ‘The Branchman’. Alan Hayes made sure that each of the books was a thing of beauty. I think it’s always good to be reminded of the delights of physical books, over their less inviting virtual sisters: but maybe that’s just me being cranky. The cover of ‘The Cocktail Hour’ is a reproduction of ‘Hazel in Rose and Gold’ by Sir John Lavery; ‘The Branchman’ is adorned by a suitably-entitled ‘The World is Full of Murder’ by Brian Maguire, and Mary O’Donnell tells me that she acquired the arresting image for ‘Empire’ from Shutterstock. For nine euro. I think she did well. And, while we may not judge these books – or any book – solely by the cover, these vibrant images certainly make us feel invited, welcomed to step inside. 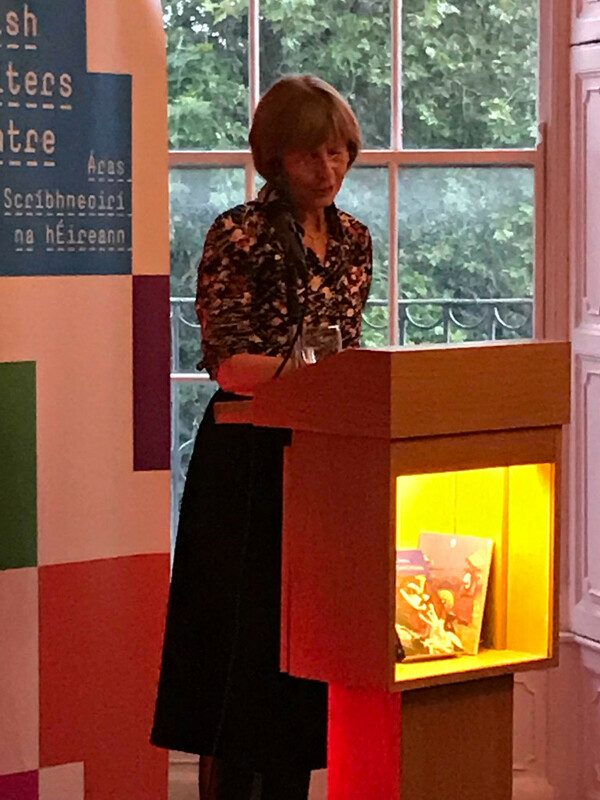 Sophia Hillan is the author of two acclaimed novels ‘The Friday Tree’ and ‘The Way We Danced’, along with a fascinating exploration of Jane Austen’s connection to Donegal, entitled ‘May, Lou and Cass: Jane Austen’s Nieces in Ireland’. Sophia has been shortlisted for a Hennessy Prize and for the first V.S. Pritchett Memorial Prize. Her work has won several awards over the years, from the BBC and Listowel Writers’ Week, among others. Sophie was Assistant Director of QUB Institute of Irish Studies and has published extensive academic work on Michael Mc Laverty. 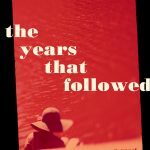 Her fiction has been described as moving and compelling, subtle and delicate and this delightful collection of stories illustrates these qualities and more, so much more besides. She explores childhood disappointment, adult ambition and betrayal, and takes a scalpel to the griefs and delusions of love. 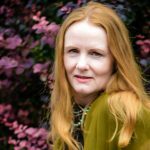 Nessa O’Mahony has published four books of poetry – Bar Talk, Trapping a Ghost, In Sight of Home and Her Father’s Daughter. She completed a PhD in Creative and Critical Writing at Bangor University and she is the recipient of three literature bursaries from the Arts Council. She was Writer Fellow at the John Hume Institute for Global Irish Studies in UCD. Nessa’s work has been described as‘ moving, powerful, richly pleasurable’, and that ‘words are her witching sticks’. She recently co-edited a book of critical essays on the work of Eavan Boland and also Metamorphic: 21st Century Poets Respond to Ovid. 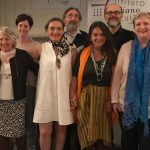 Nessa produces and presents a monthly podcast for writers called The Attic Sessions. ‘The Branchman’ is a new departure for Nessa, being her first full-length prose novel. From its chilling opening to its very satisfying conclusion, she creates a wholly credible fictional hero in Michael Mackey, or ‘Mack’. Mack is that new post-civil war creation, a Special Branch man, from the newly constructed Garda Siochana, sent to Ballinasloe in 1925 to investigate increasing subversive activity. Some of the parties to the previous conflict have not handed up their weapons. Dissent is everywhere. Suspicion similarly. As in the best of fiction that is set in history, Nessa’s narrative shadows the present in the events of the past, and illuminates both in the telling. And the pace never flags. Mary O’Donnell has been publishing steadily since 1990. Her first novel, ‘The Lightmakers’, 1992, was recently reissued. 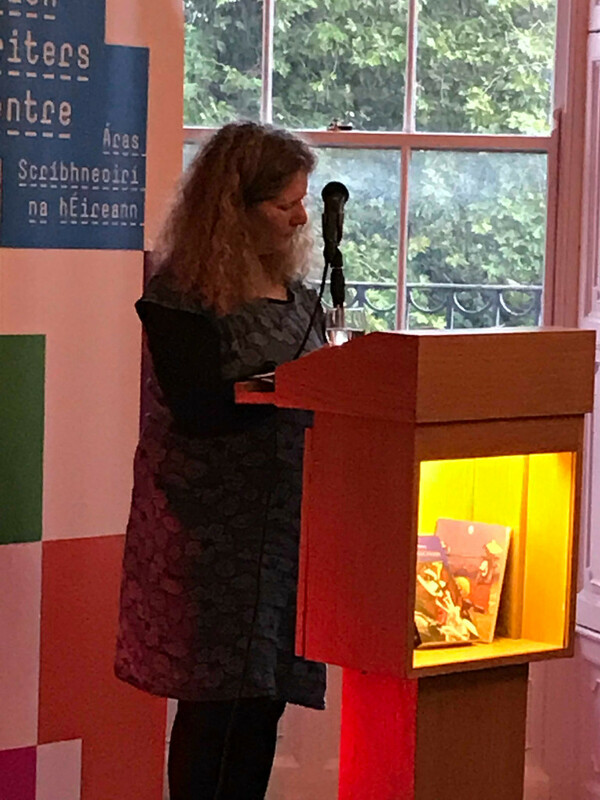 Her work has won many awards, including New Irish Novel of 1992, the William Allingham Award, the Listowel Writers’ Week Short Story Prize and The Fish International Short Story Award. 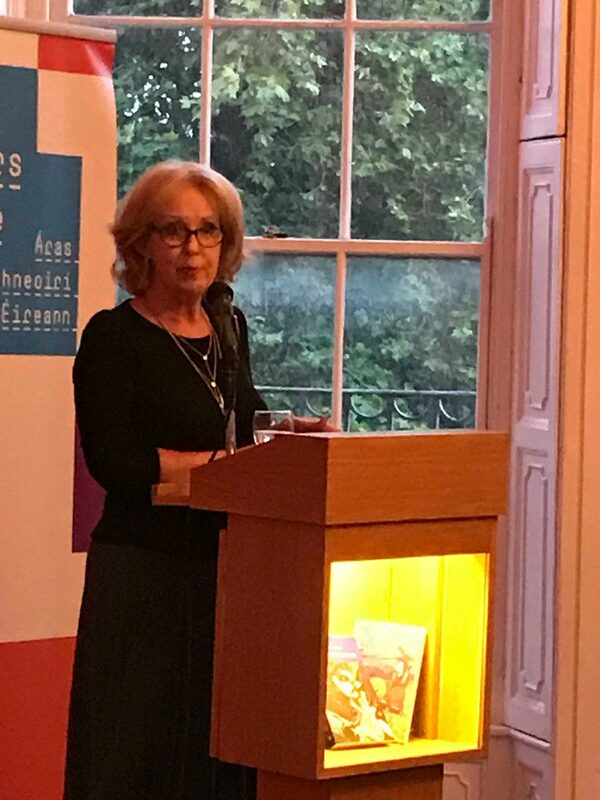 A selection of essays “Giving Shape to the Moment: the Art of Mary O’Donnell, Poet, Novelist, Short-Story Writer” was recently launched by the academic publisher Peter Lang. And most recently of all, her essay “My Mother in Drumlin Country” has just been listed as one of the ‘notable essays of the year’ in the 2018 edition of Best American Essays. In ‘Empire’, Mary explores the changing world of the personal and the political. The collection focuses on Irish people who lived during the 1915–1919 period. The first story is set in Burma, a stronghold of the British Empire, but all the other loosely-interlinking stories focus on the lives and loves of Irish people as the Empire declines. In her book ‘Negotiating With the Dead’, Margaret Atwood reflects that the writer’s impulse in writing is always to go into the darkness and bring something out into the light, so that we might see more clearly, understand more viscerally, that which we are being shown. In each of these three books, something has been brought into the light. Something that adds to our understanding of ourselves, of others, and of the society we live in. 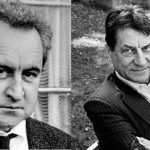 Congratulations to the three writers, and to Alan Hayes of Arlen House. Catherine, thanks again for the mercy and kindness of all your words!